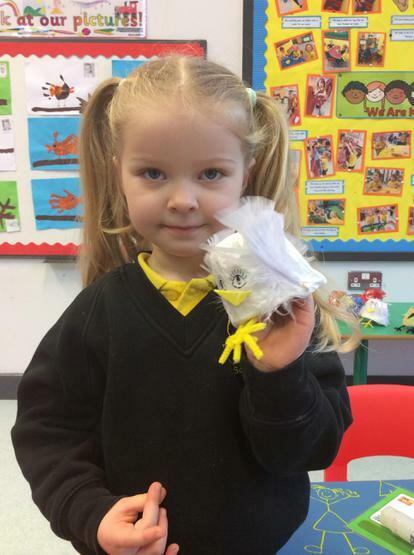 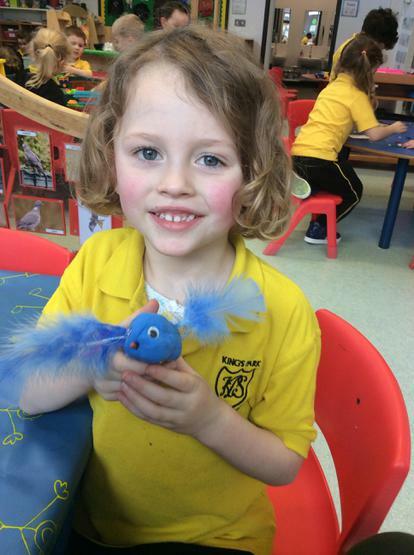 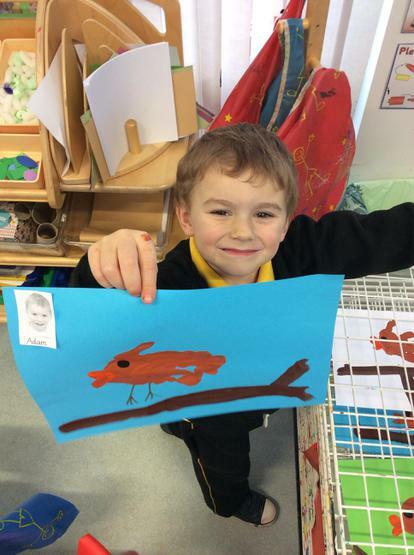 This month in Nursery we will be exploring the topic of 'Birds'! 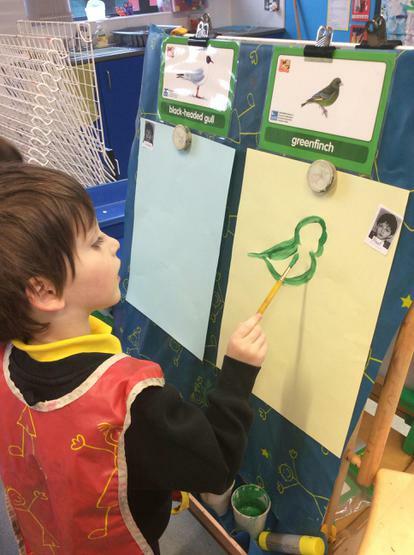 We will be learning to identify common birds that visit our gardens, parks and outdoor play area in nursery. 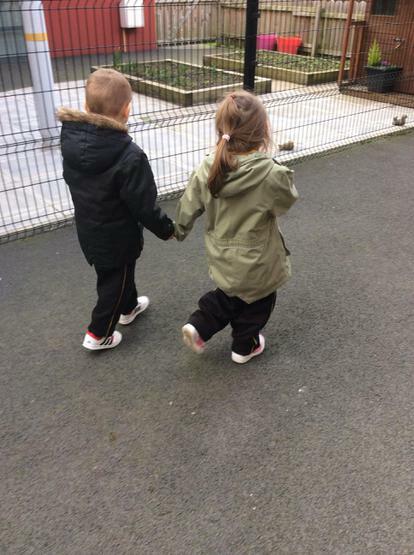 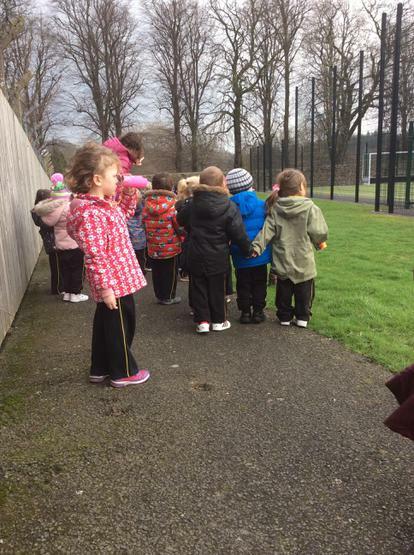 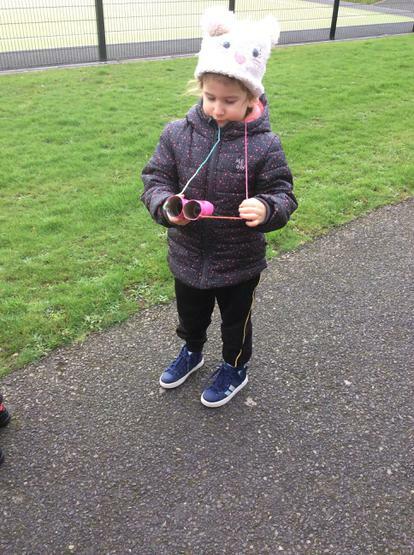 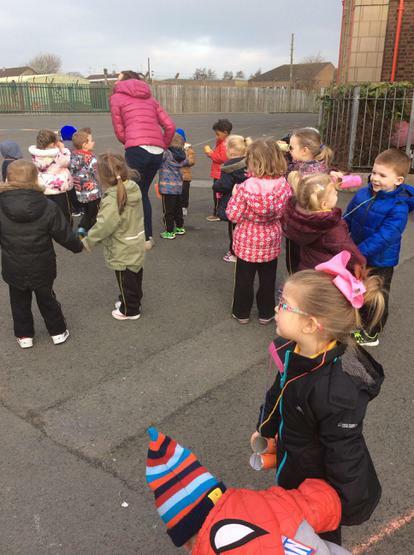 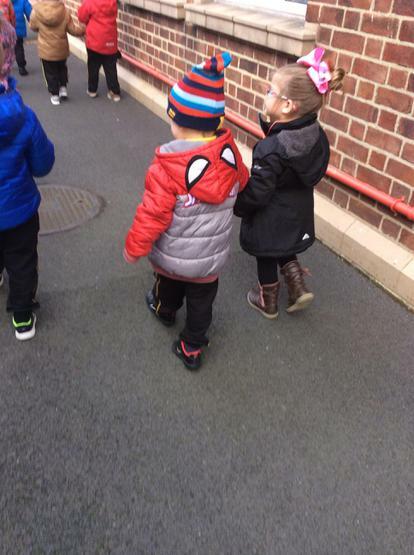 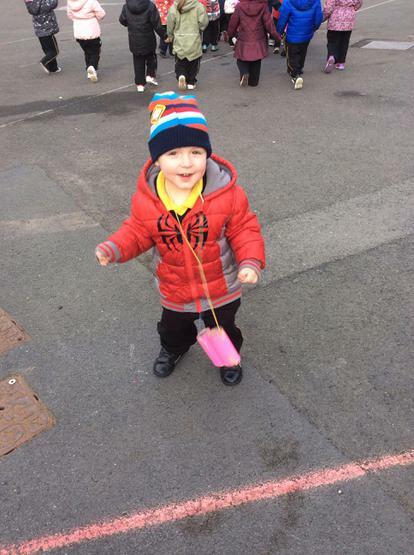 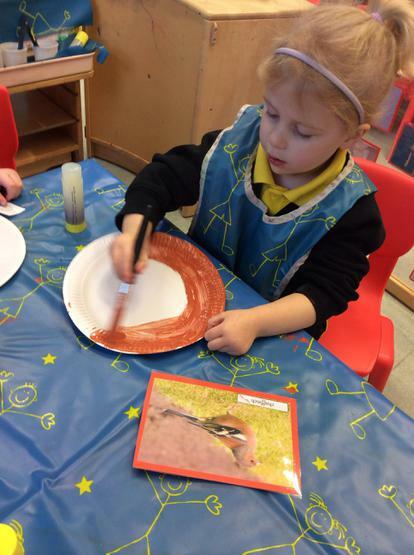 We will learn about birds through our play; both indoors and outdoors, and also through our Community time learning. 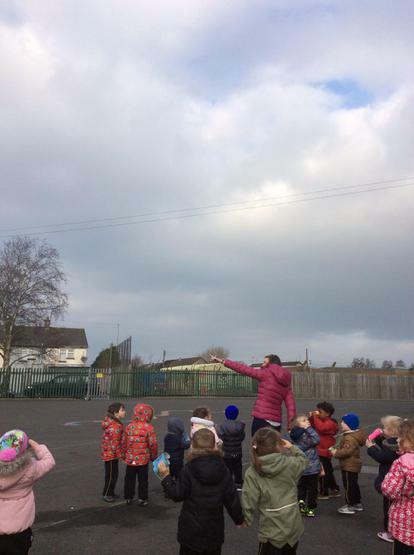 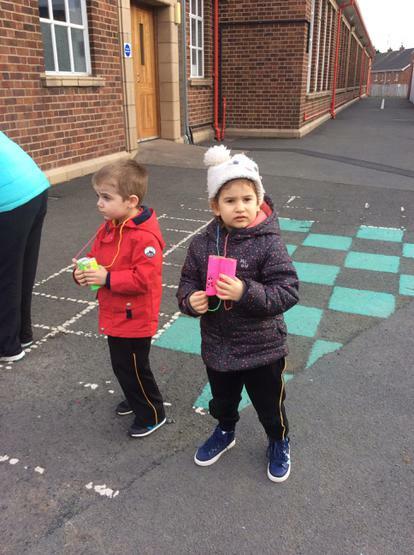 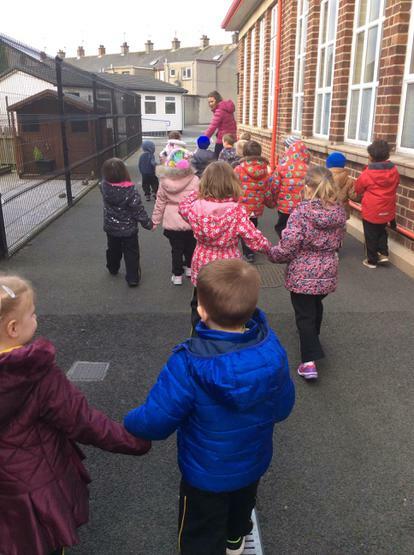 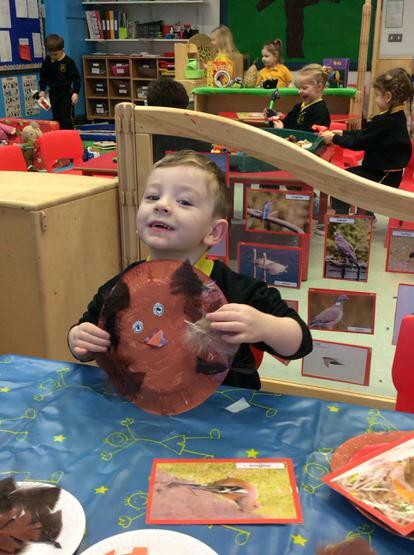 We will learn how we can look after birds by keeping our Nursery outdoors clean and free from litter and also make special bird food for the birds that come to visit. 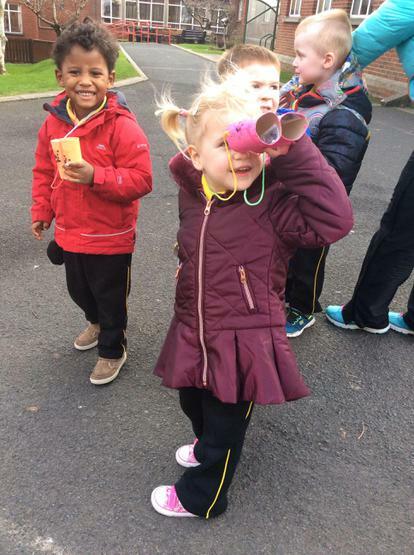 Make sure you take a look in the Educational Visits section of our web page to see photos of our visit from Catherine from the RSPB! 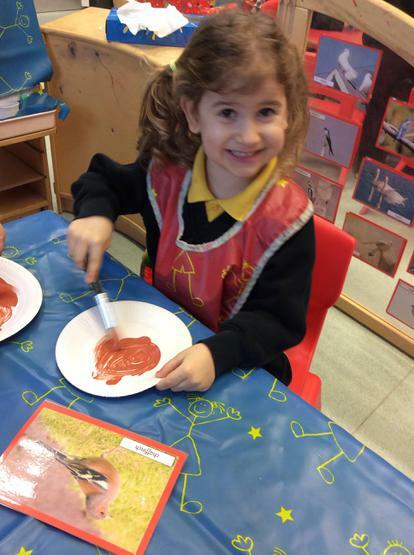 We loved this educational visit - a great way to end our topic of 'birds'! 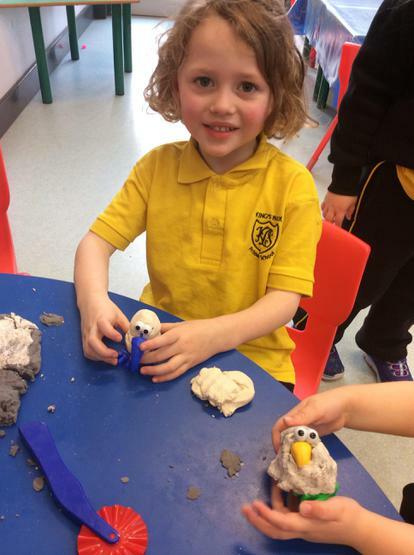 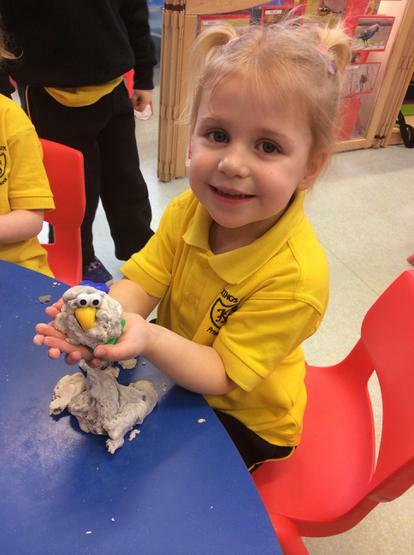 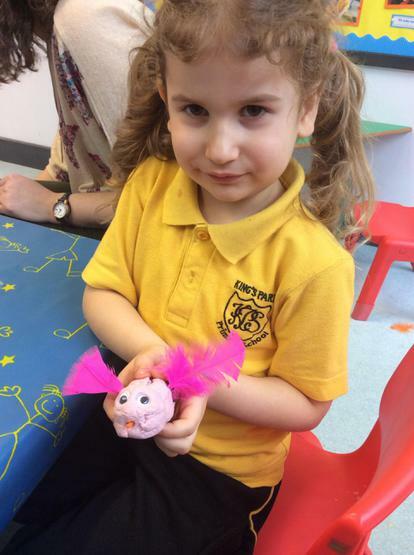 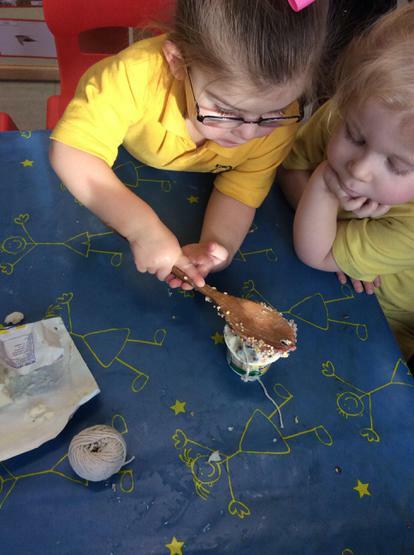 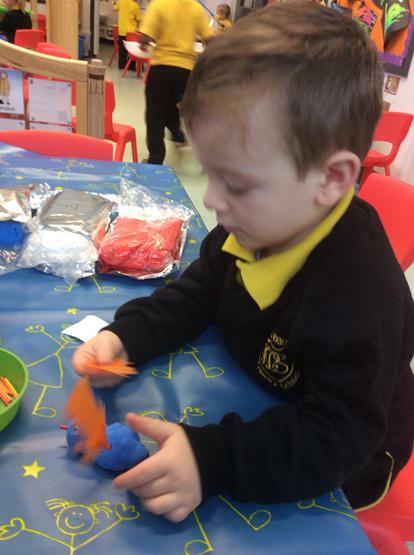 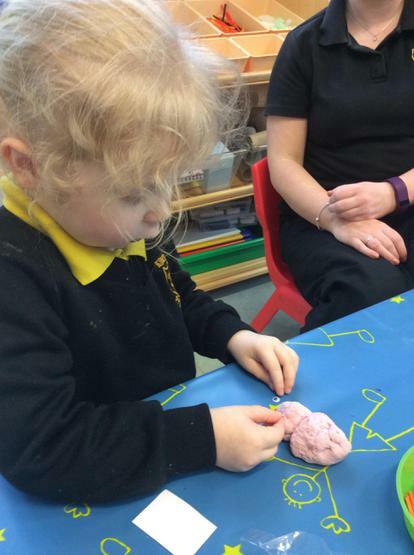 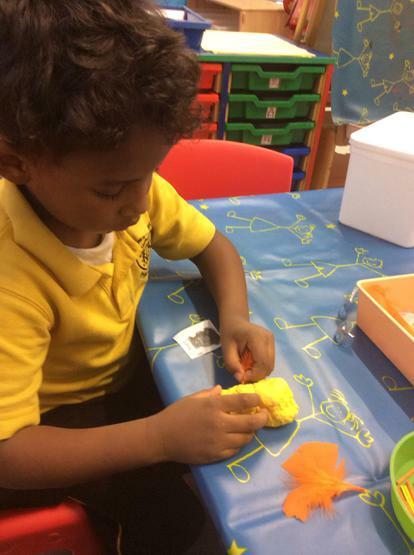 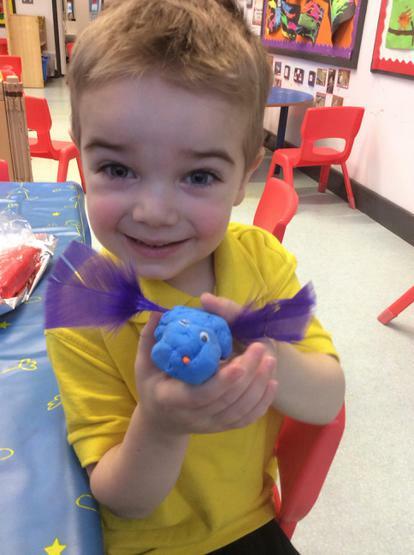 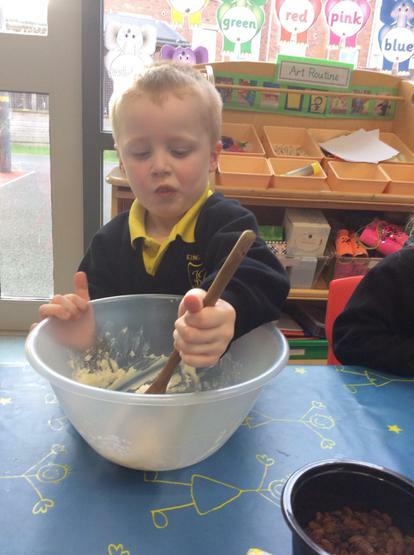 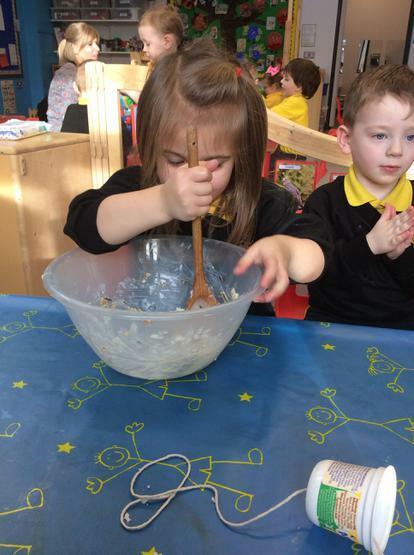 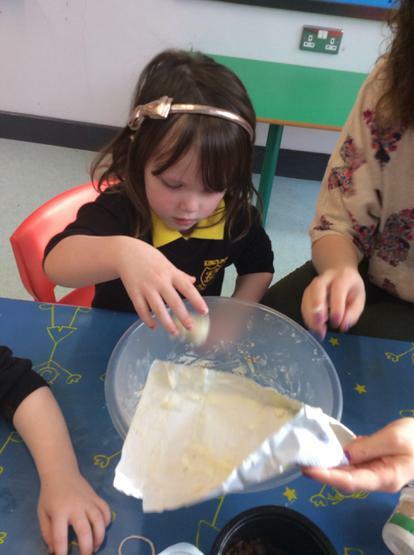 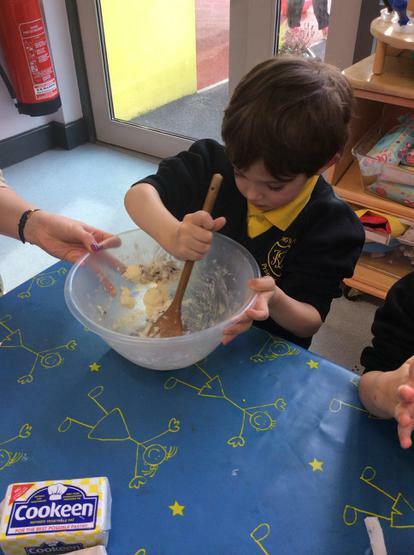 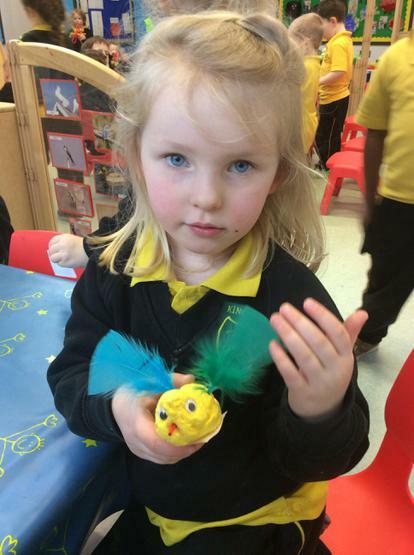 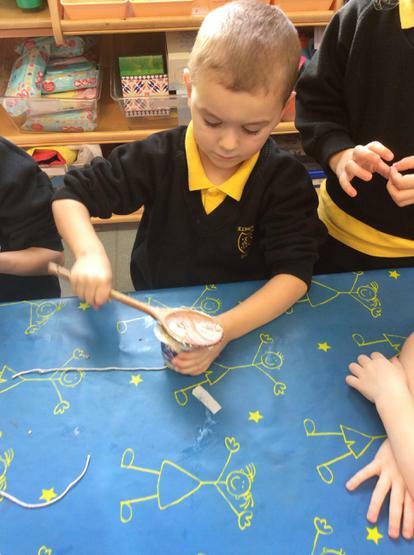 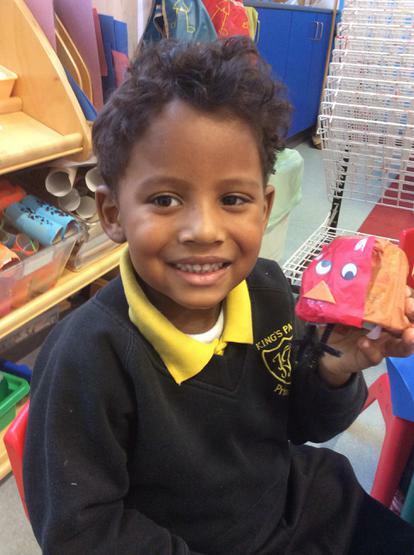 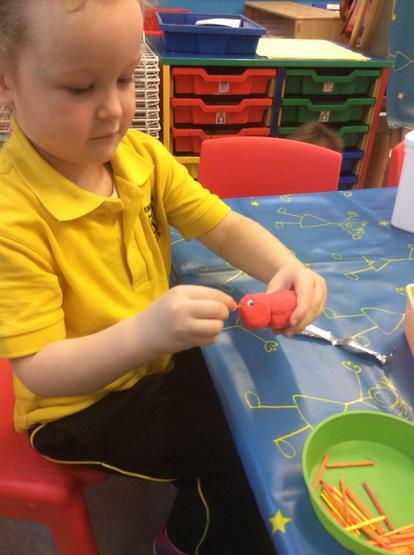 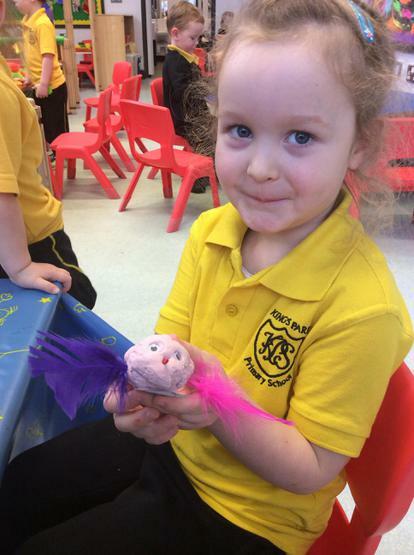 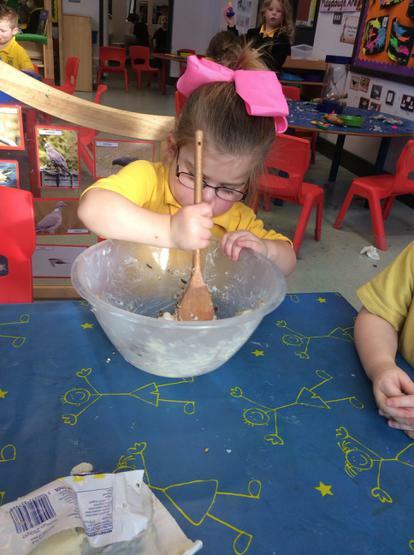 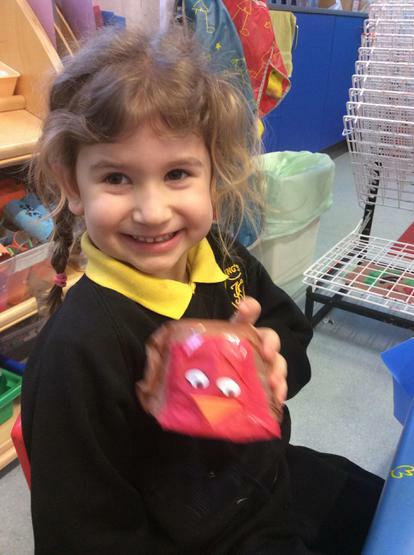 We are enjoying making birds using special dough! 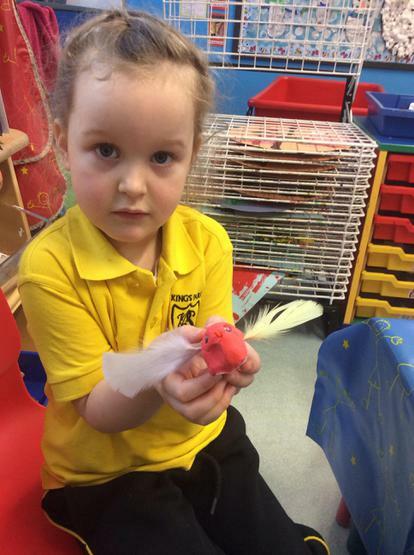 We are learning to take care of birds! 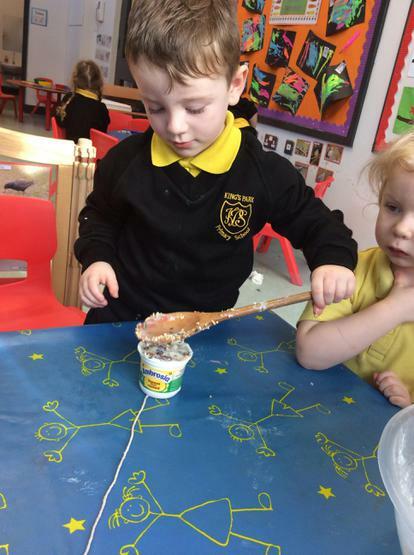 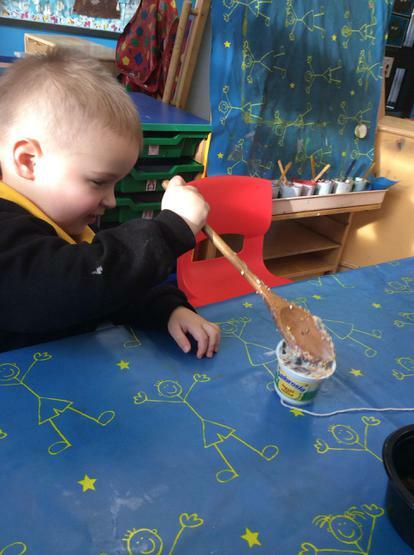 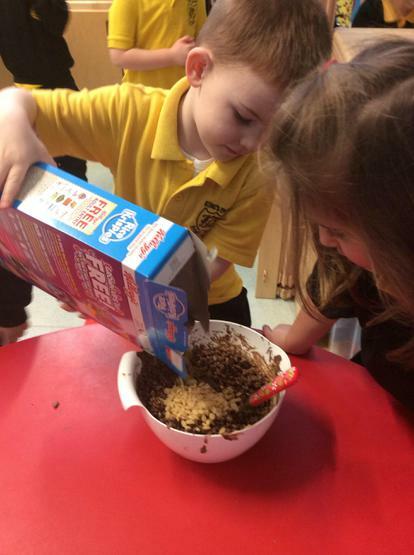 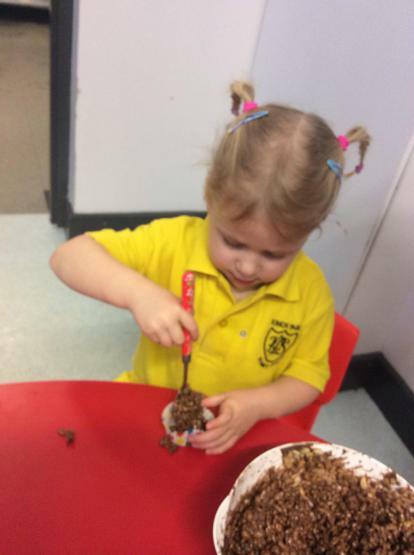 We made our very own special bird food so that we can feed the birds that come to visit our Nursery during the winter months! 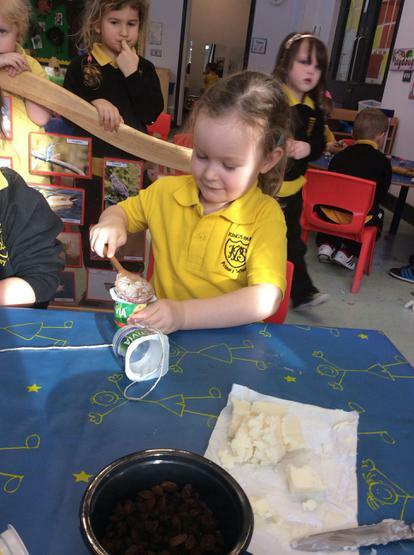 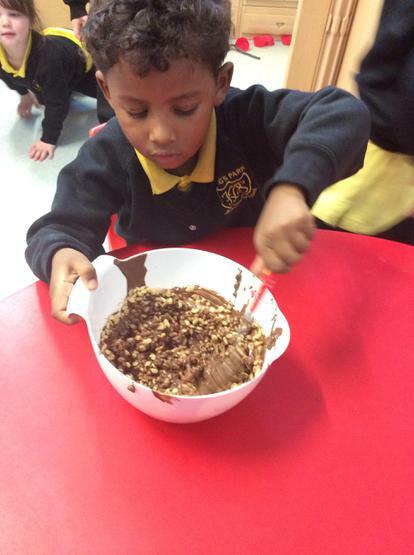 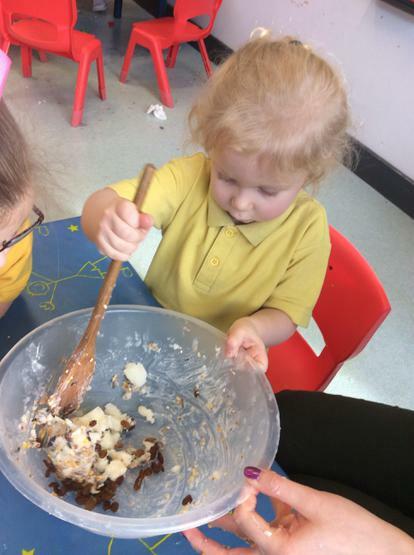 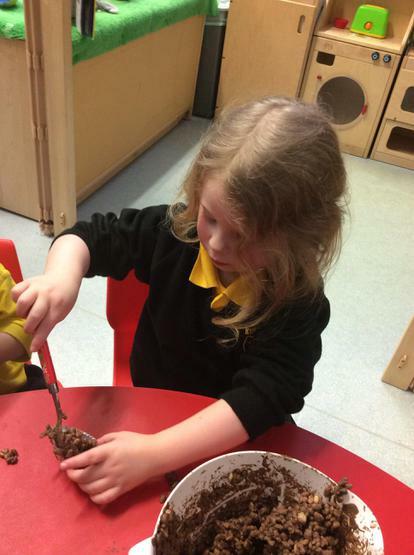 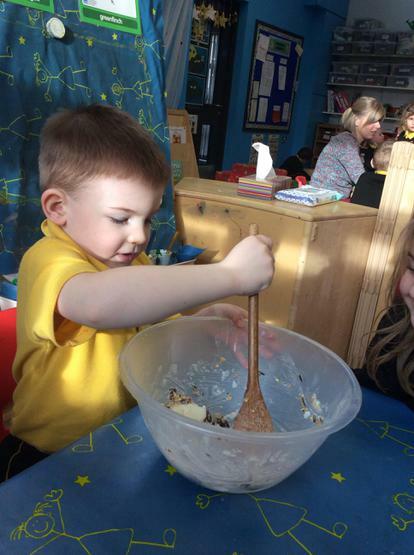 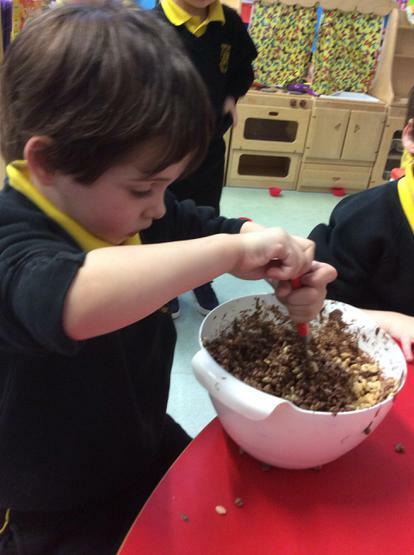 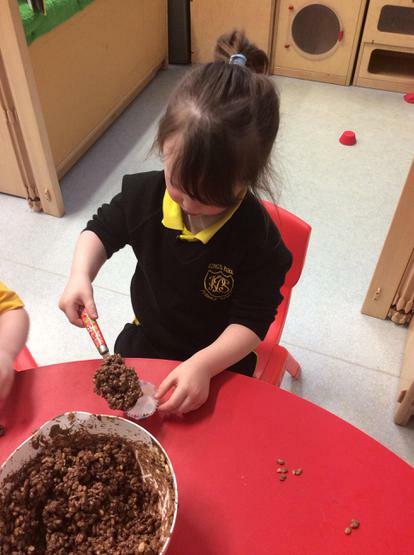 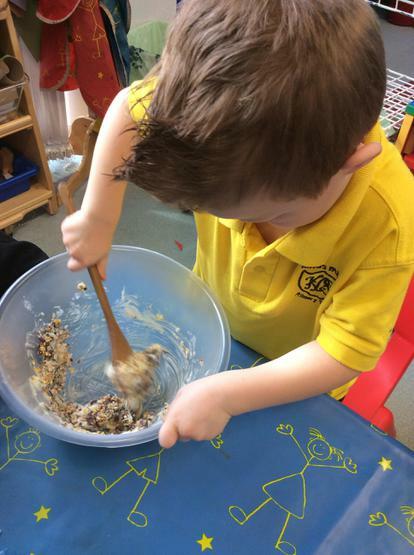 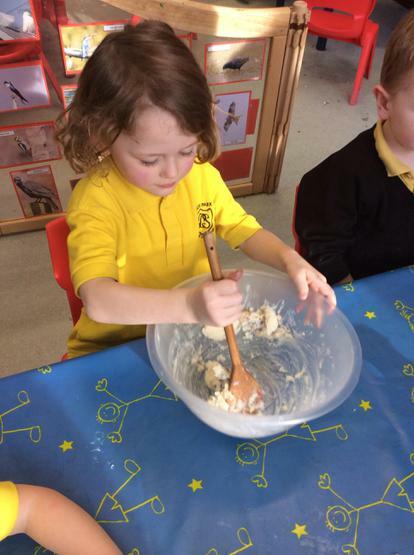 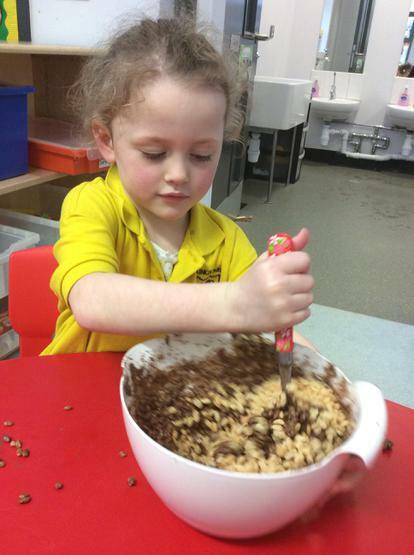 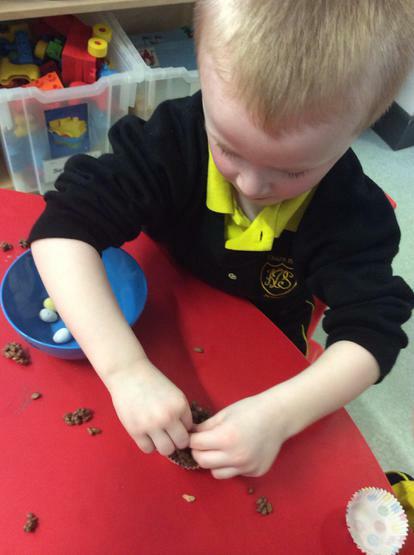 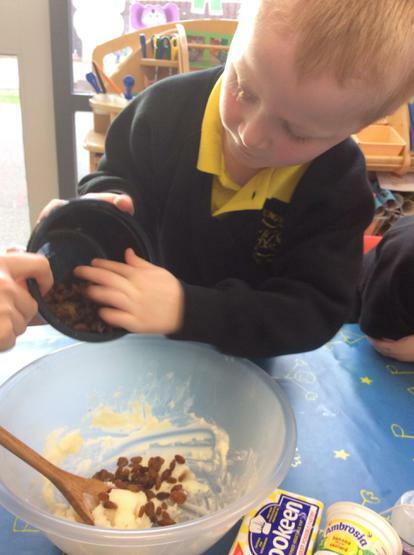 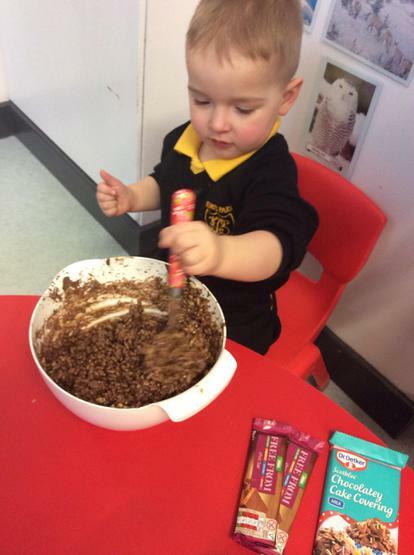 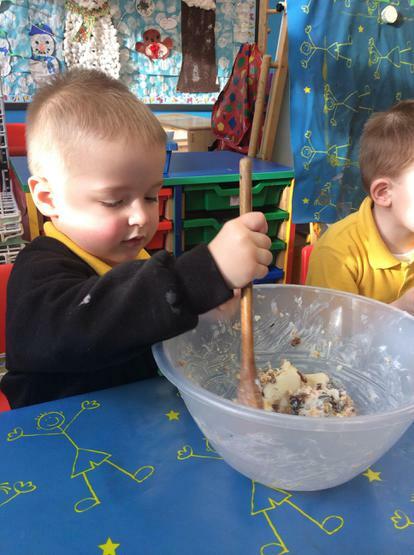 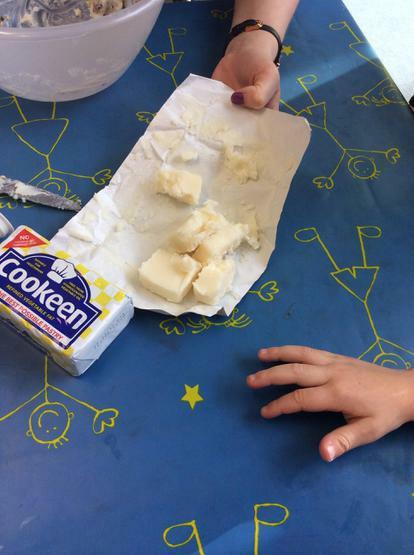 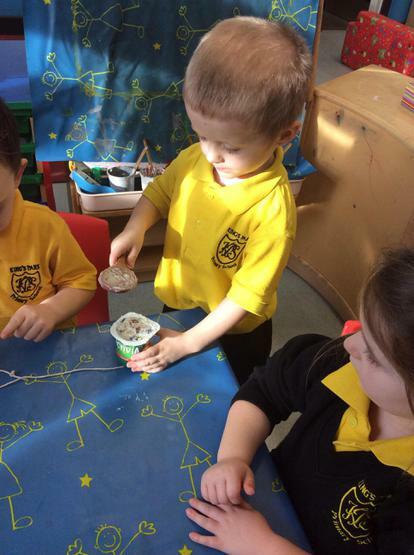 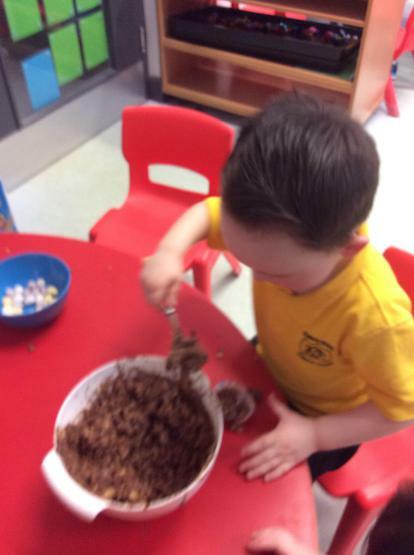 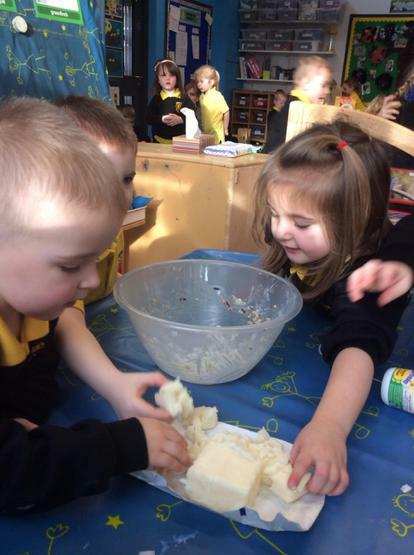 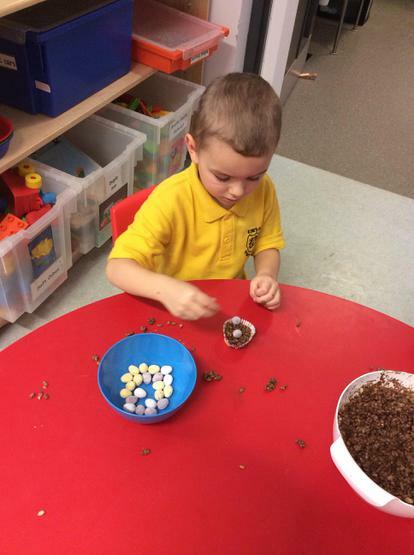 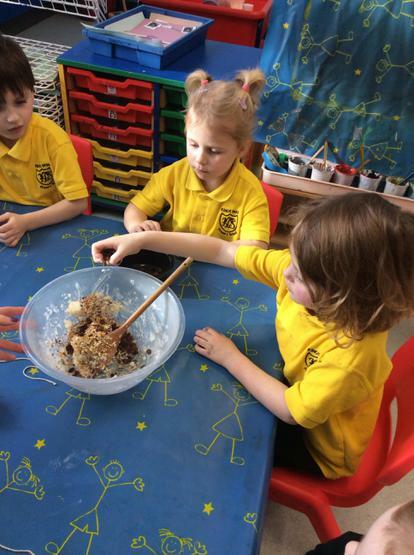 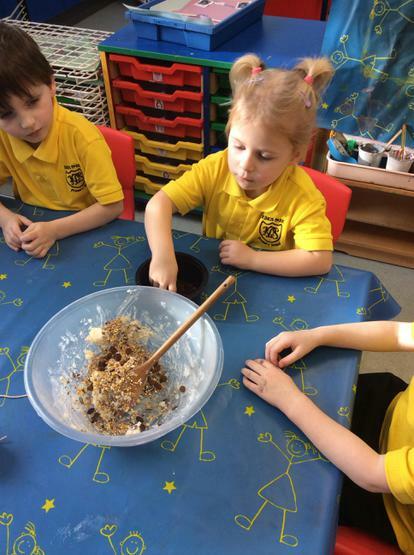 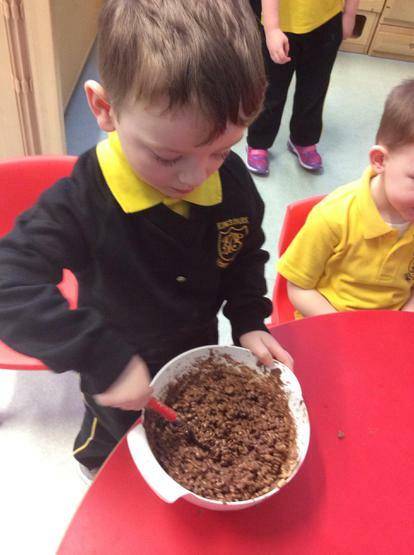 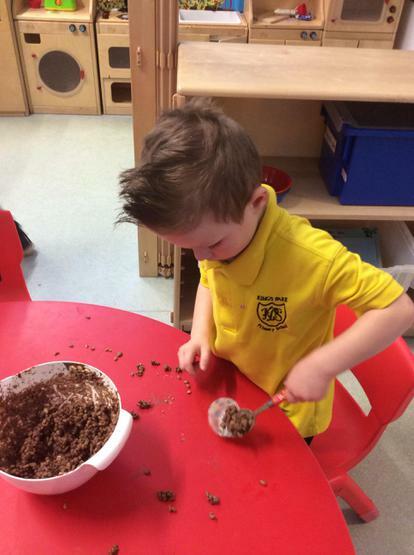 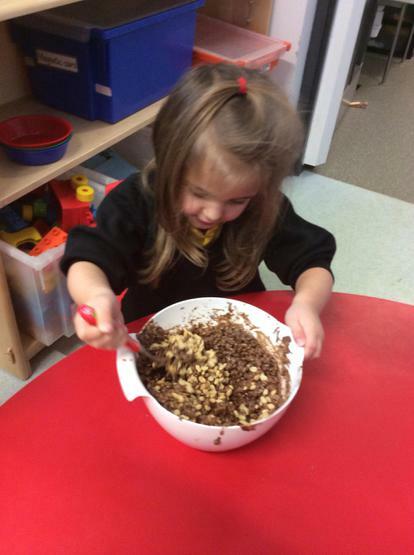 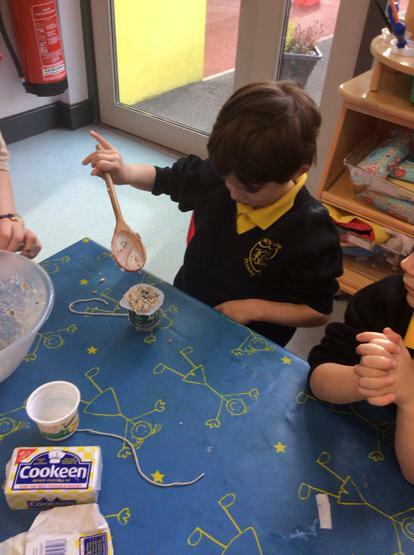 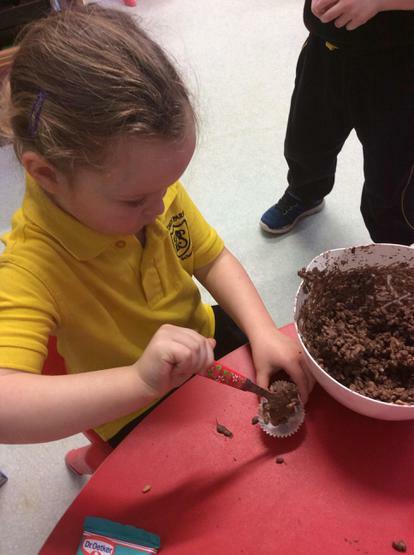 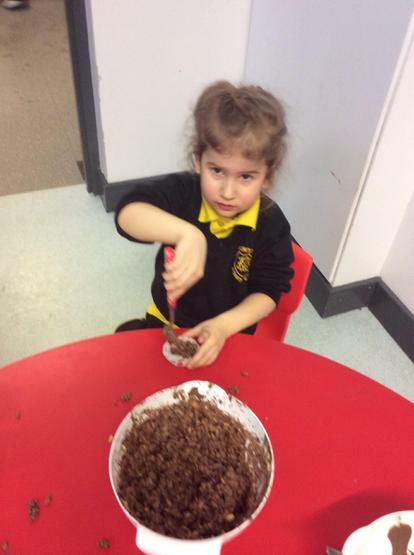 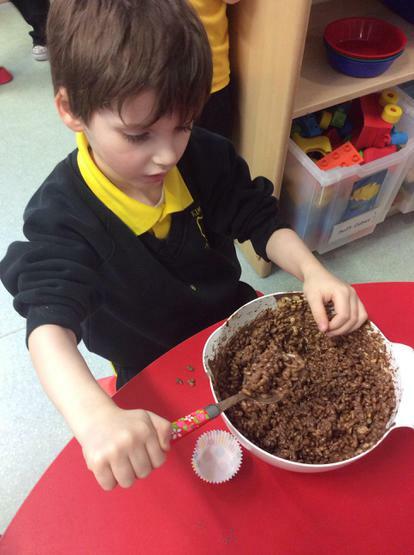 We used lard, seeds and raisins and worked together in groups to make the special bird food. 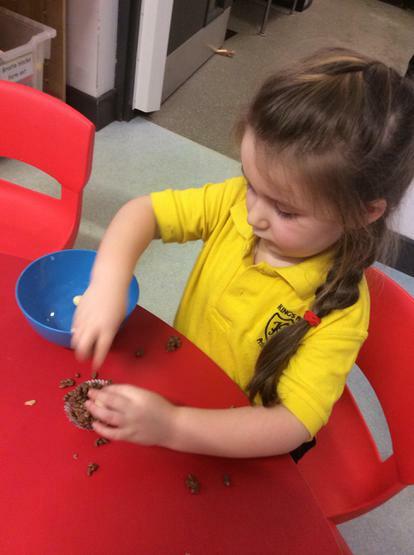 We are looking forward to seeing which garden birds come to eat our bird food! 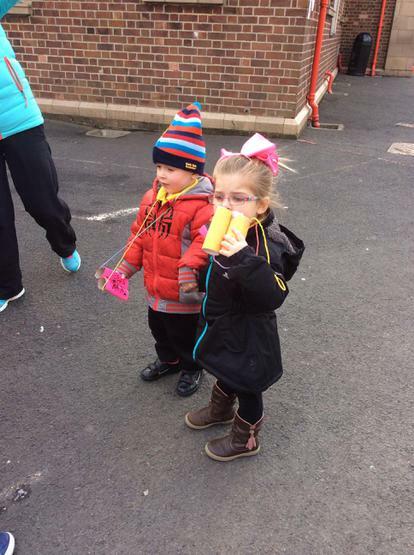 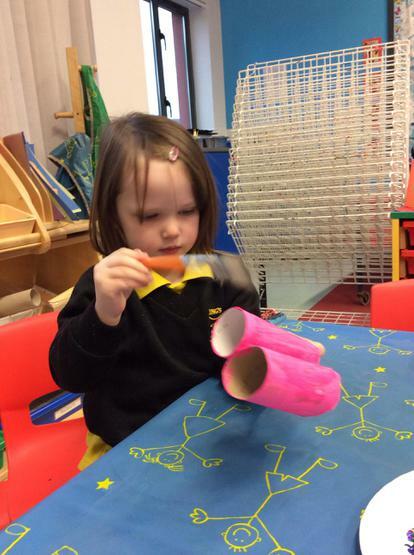 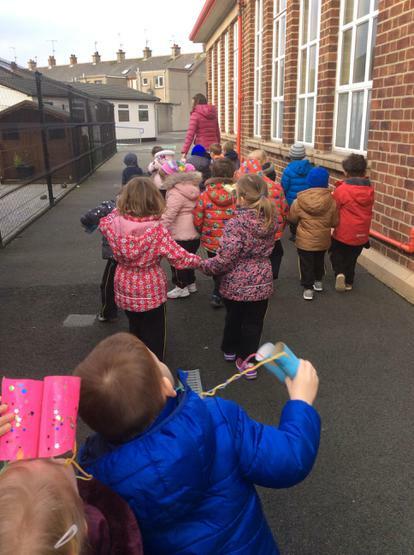 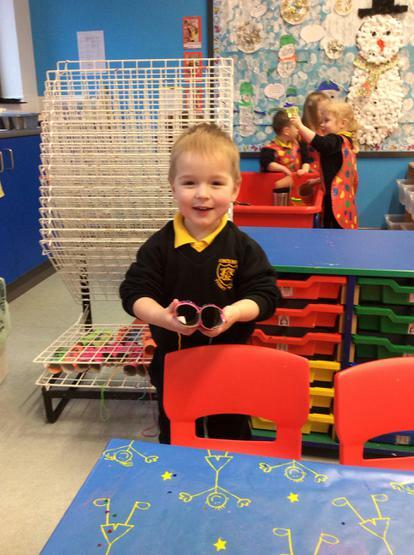 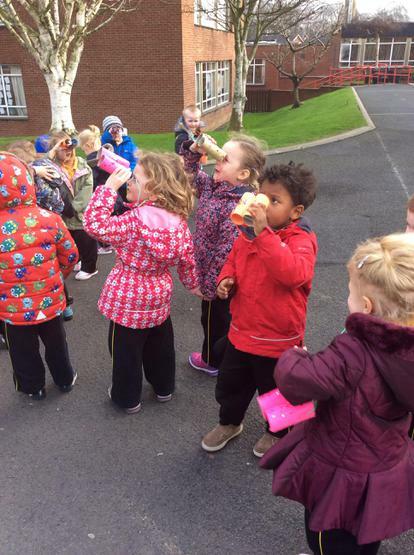 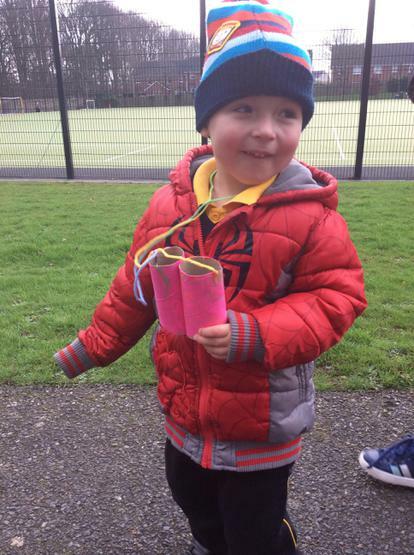 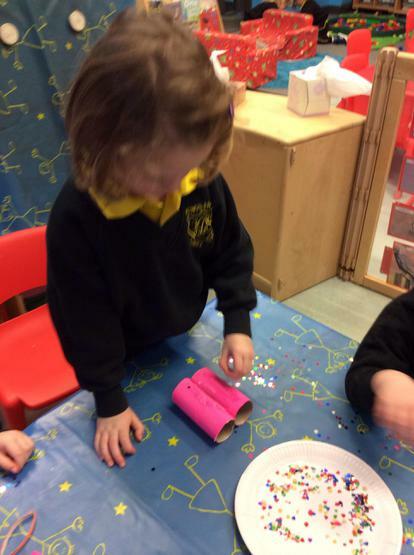 We made binoculars! 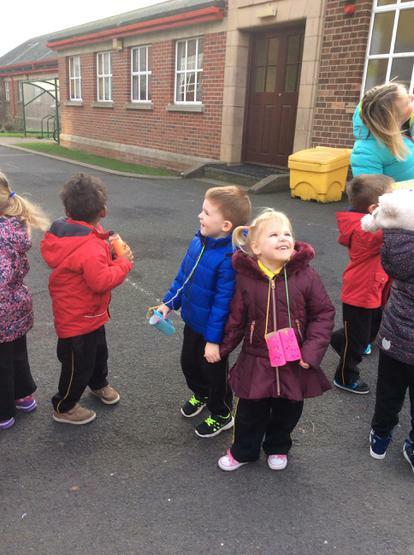 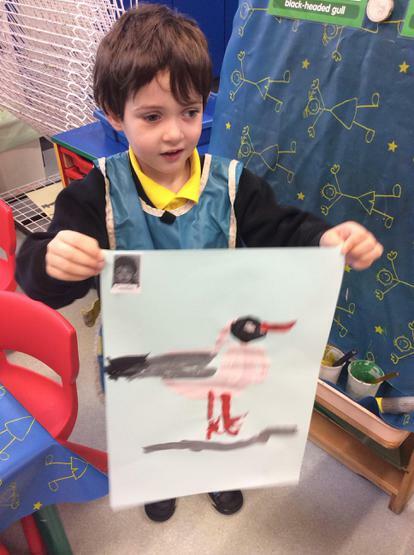 We are looking forward to going bird watching! 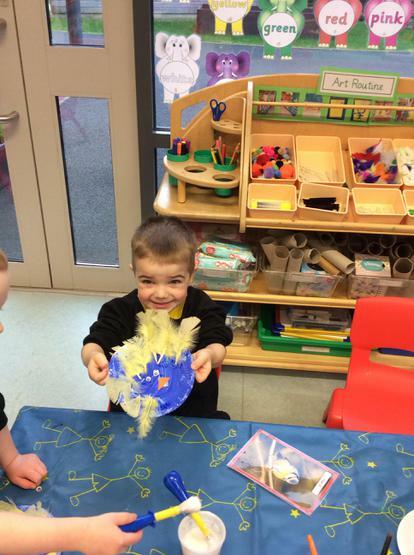 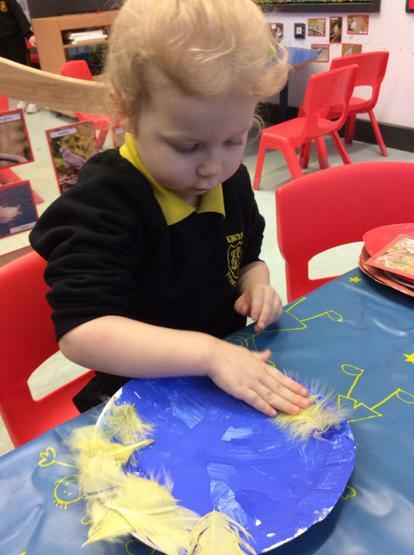 We had fun painting with feathers! 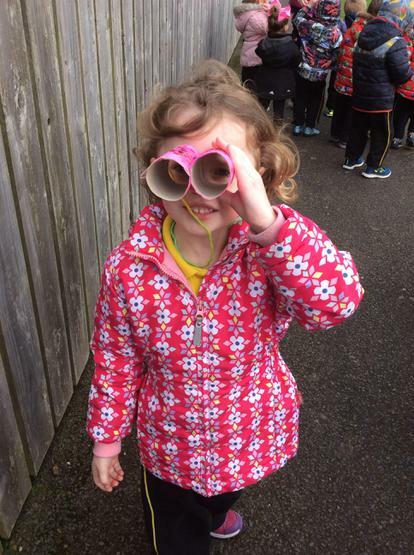 Bird watching around King's Park! 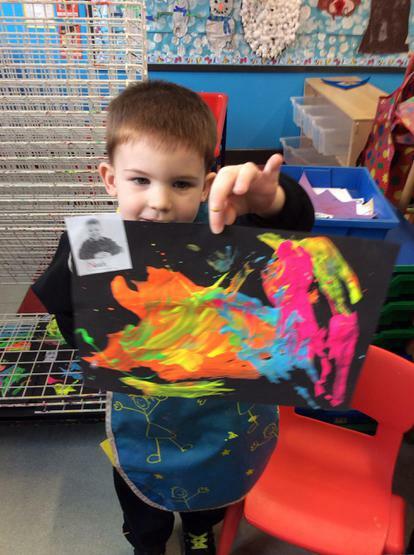 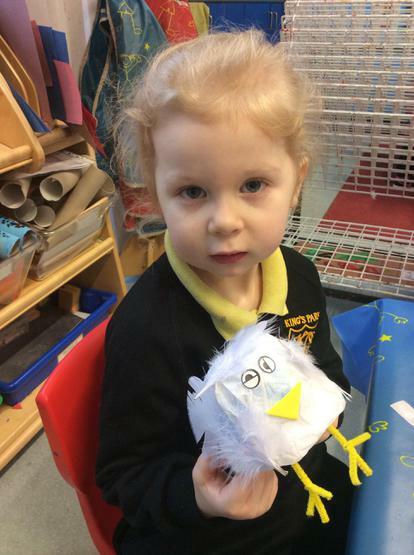 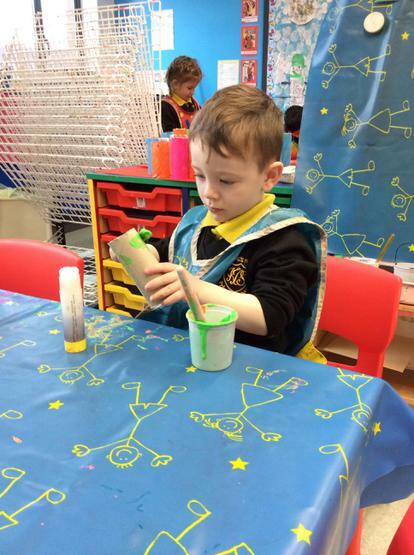 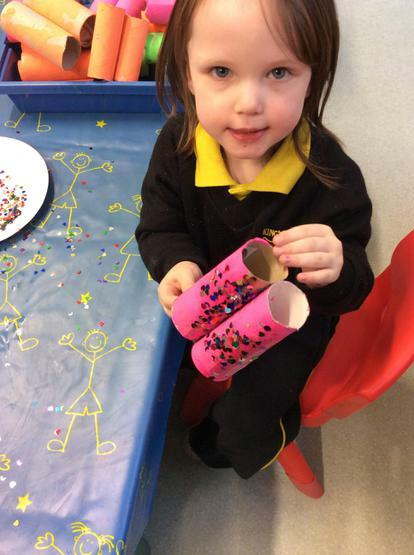 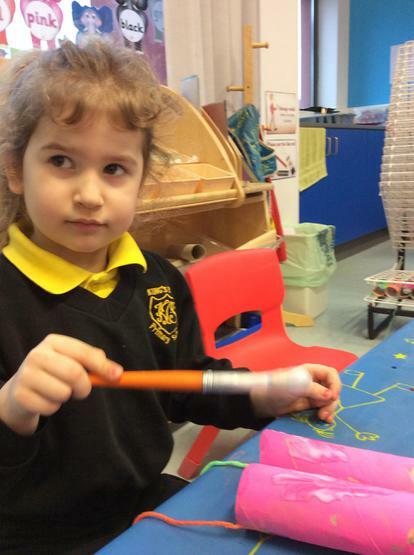 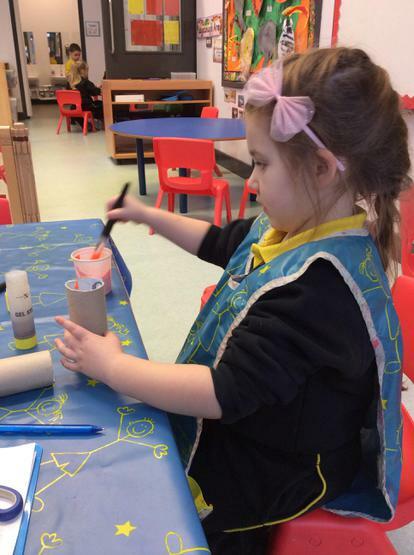 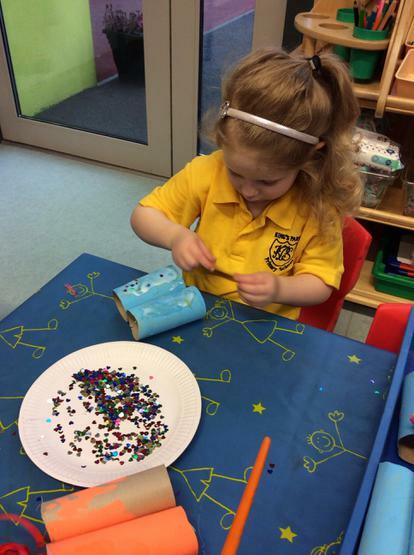 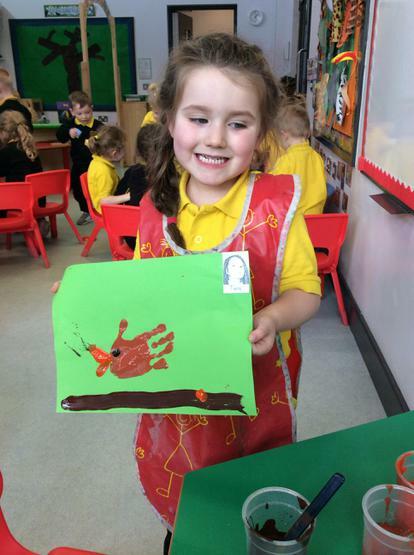 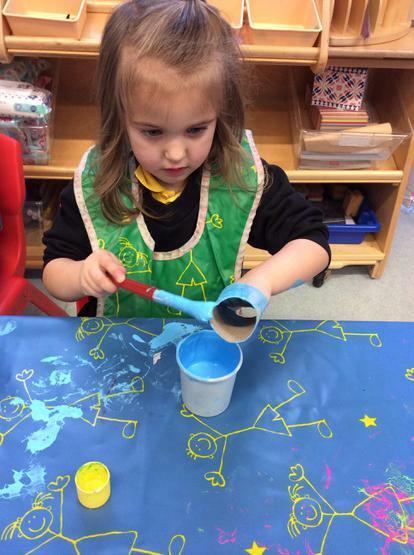 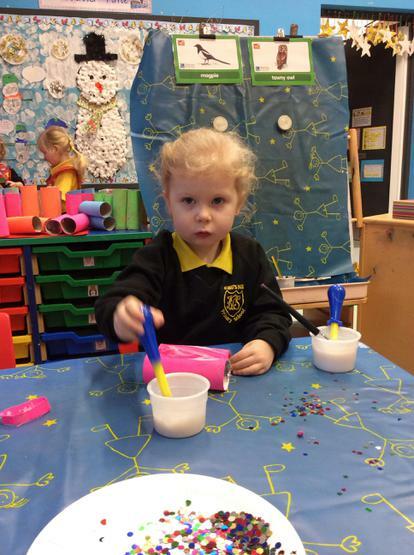 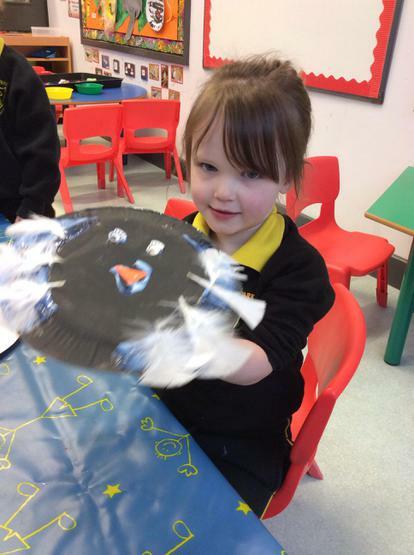 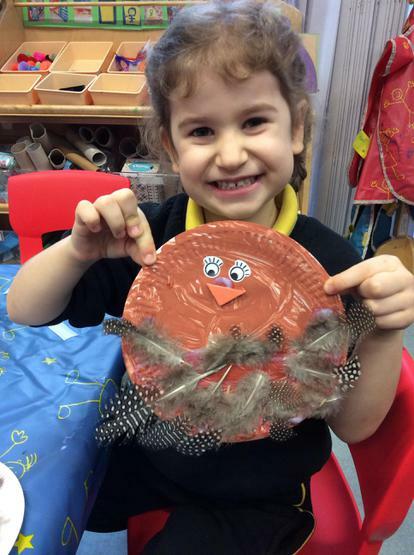 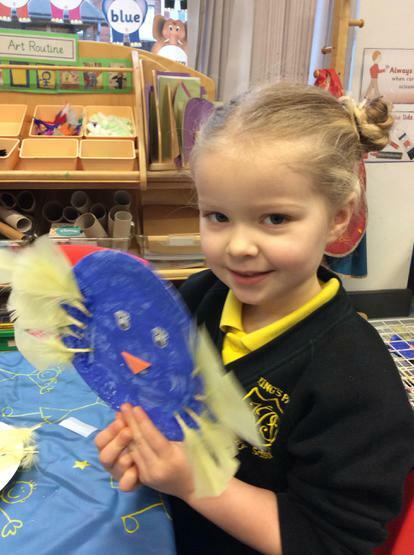 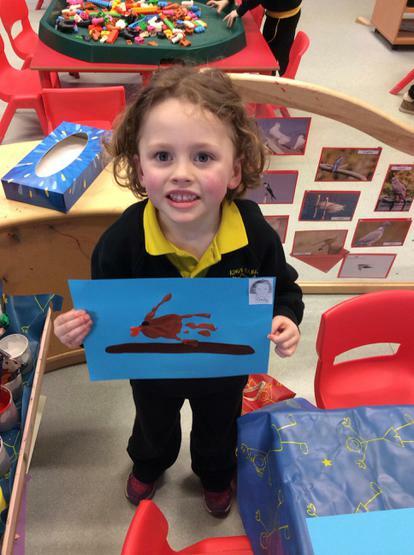 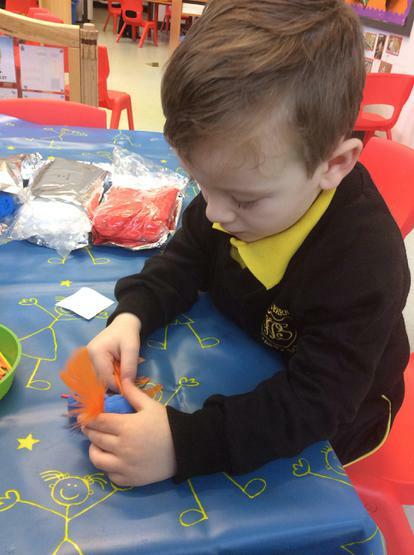 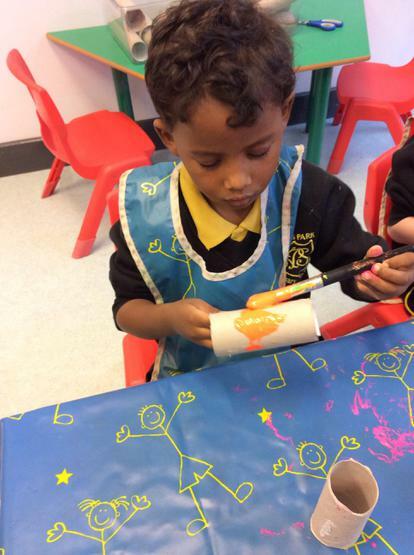 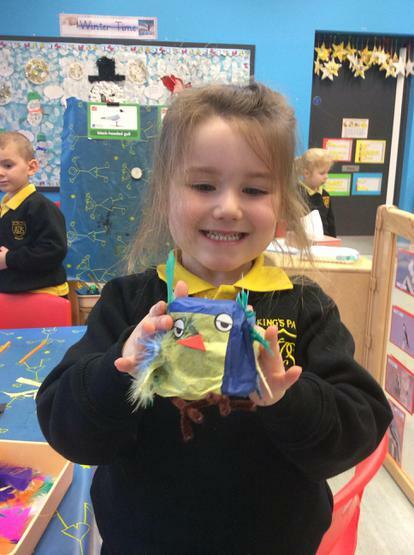 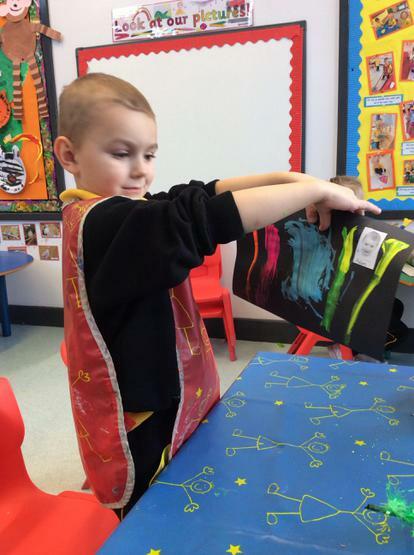 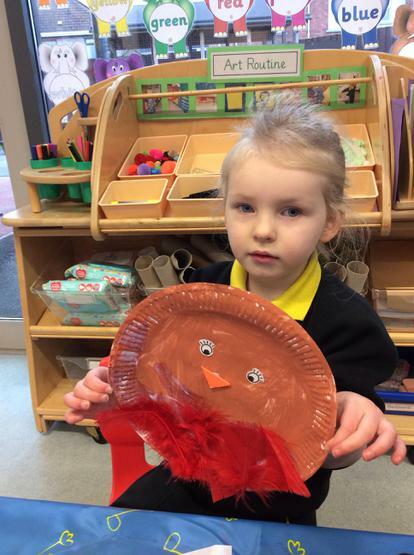 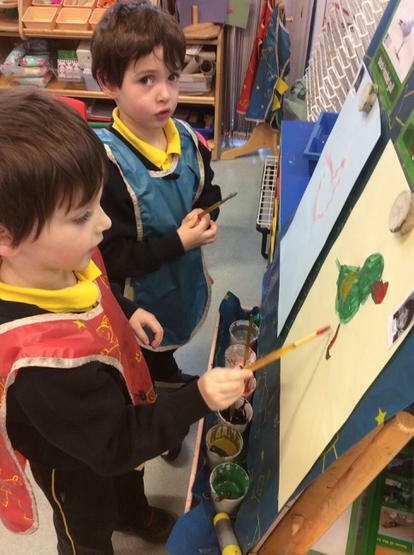 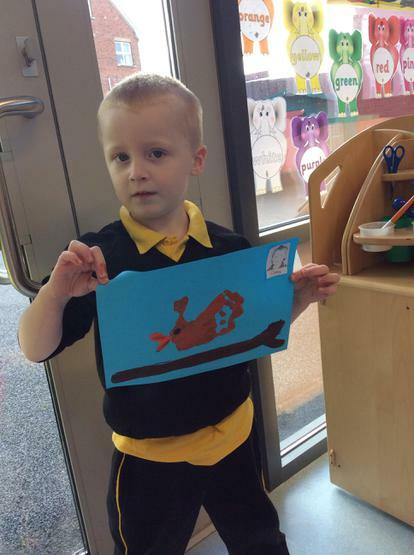 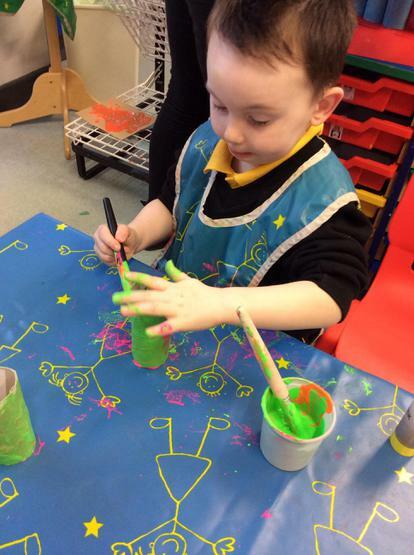 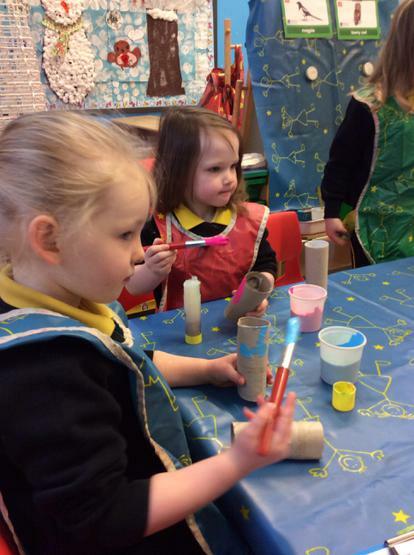 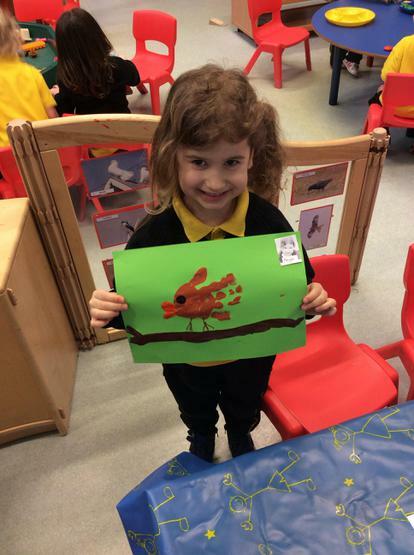 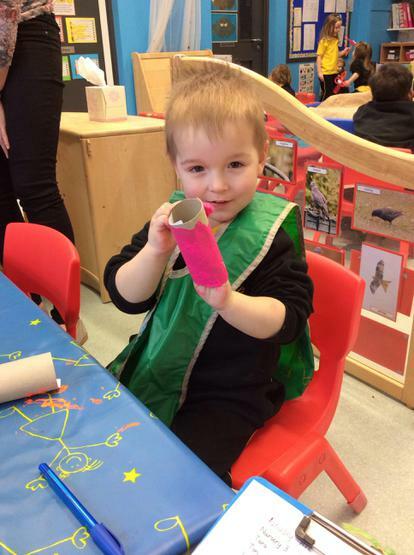 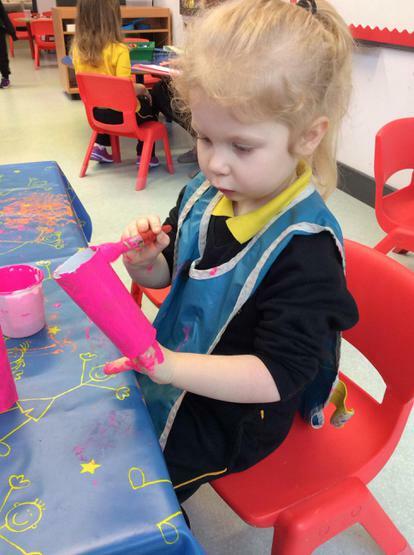 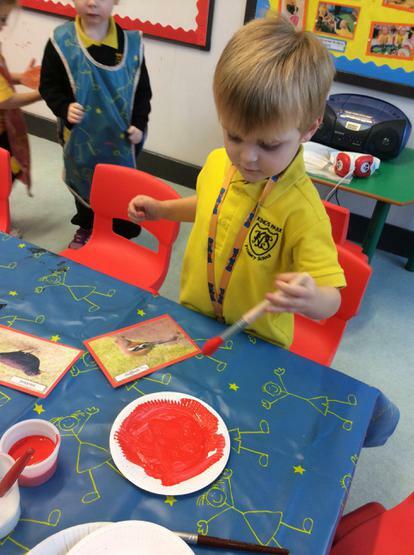 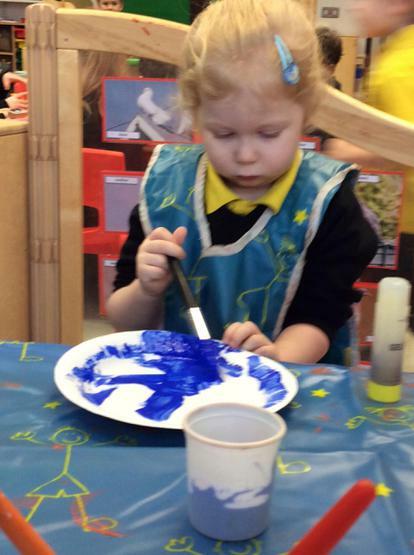 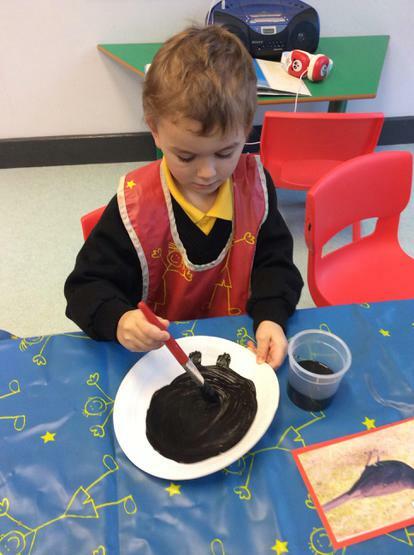 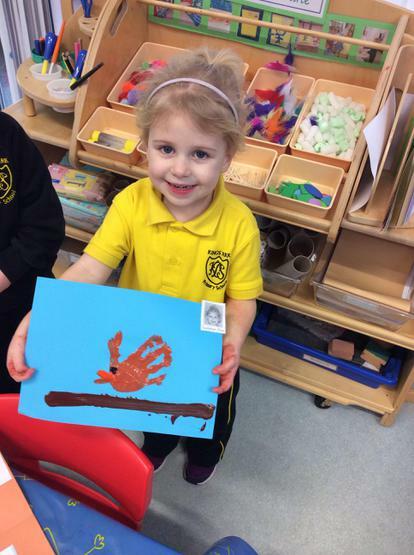 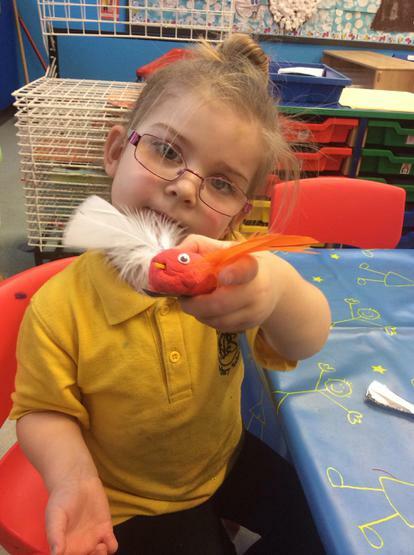 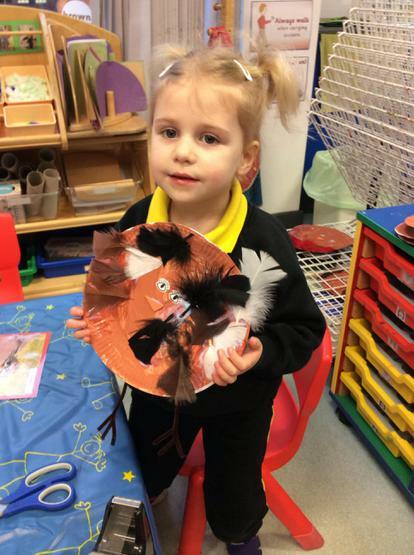 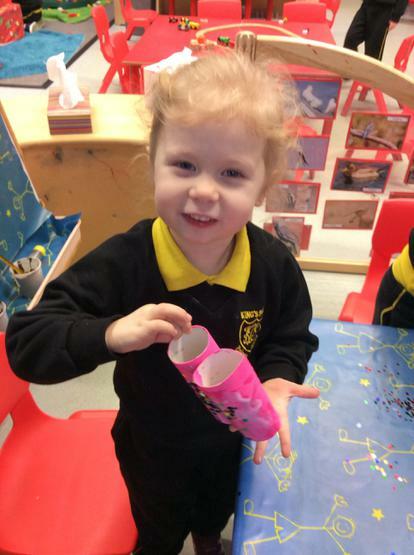 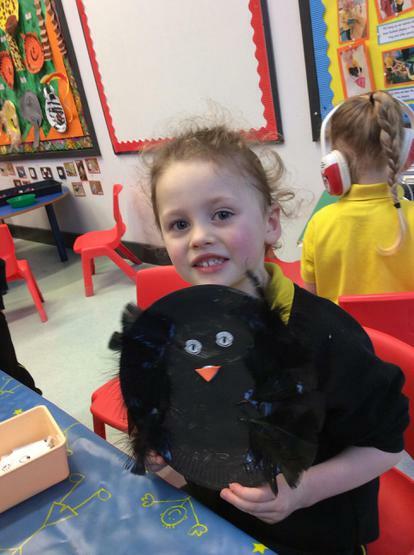 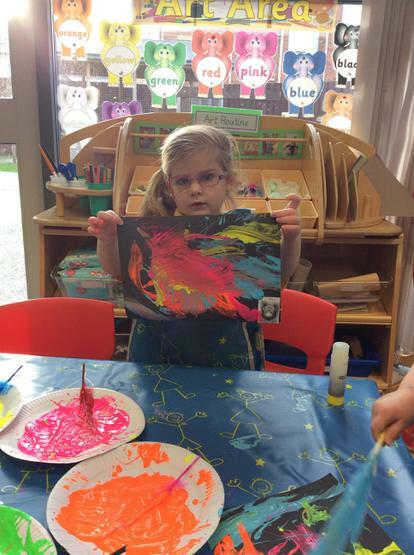 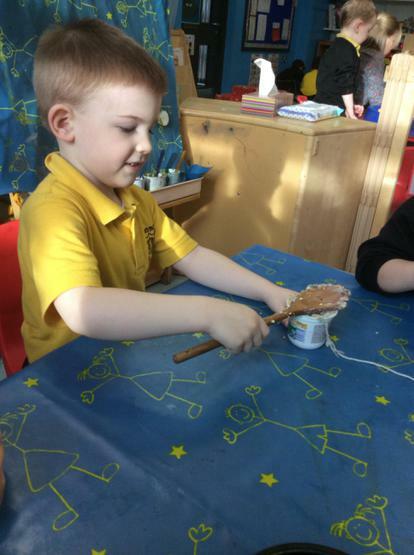 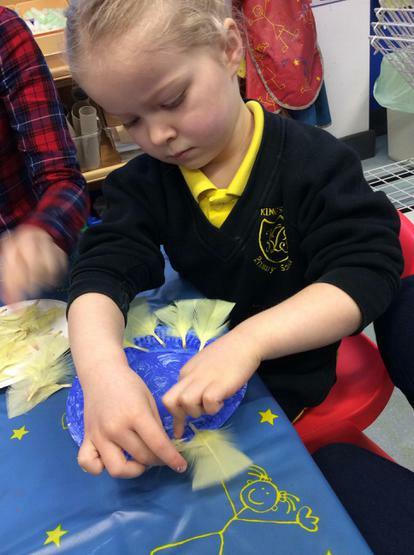 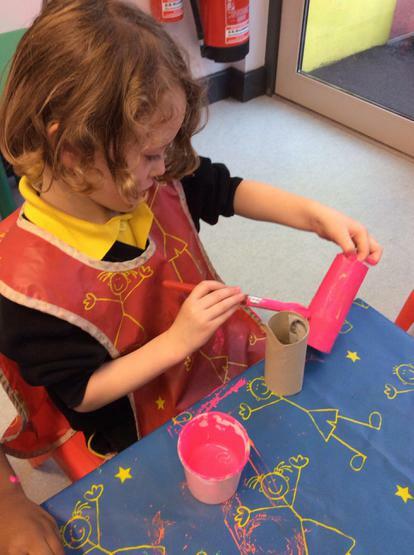 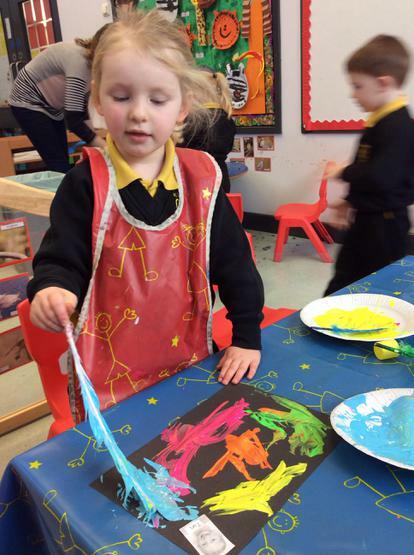 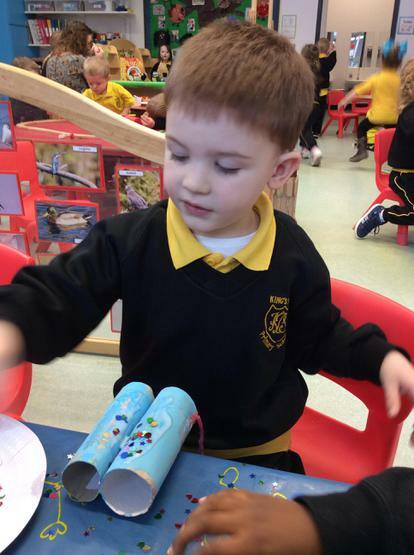 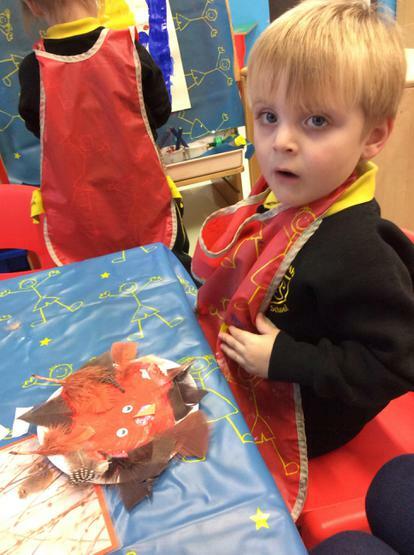 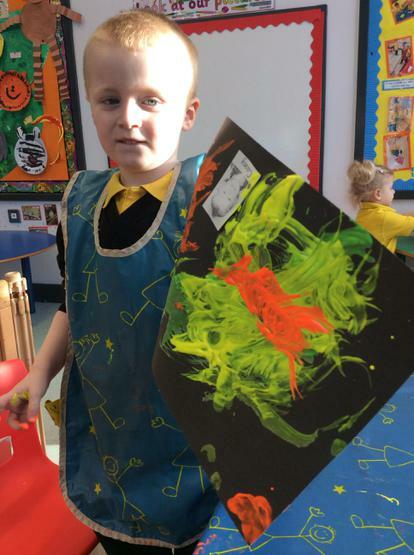 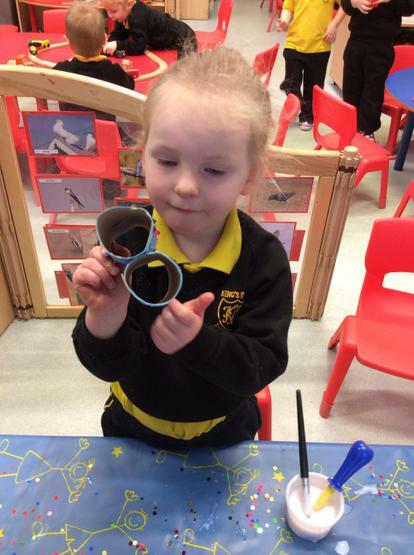 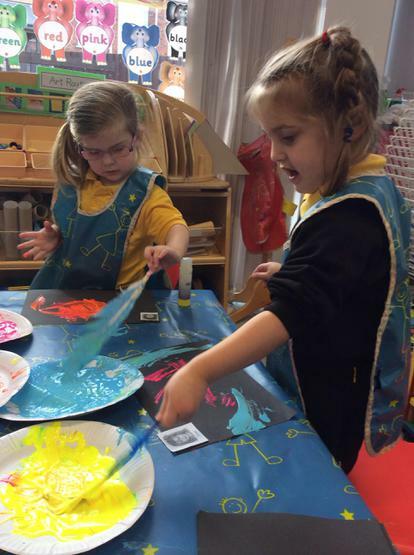 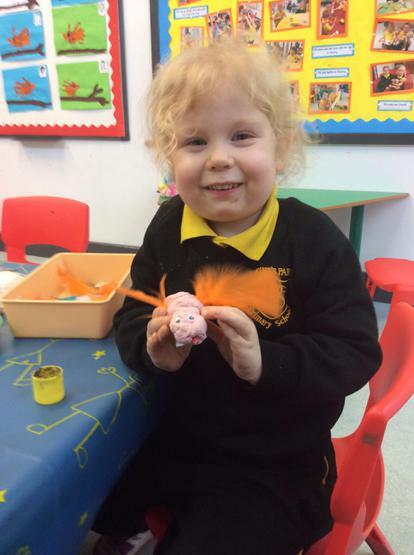 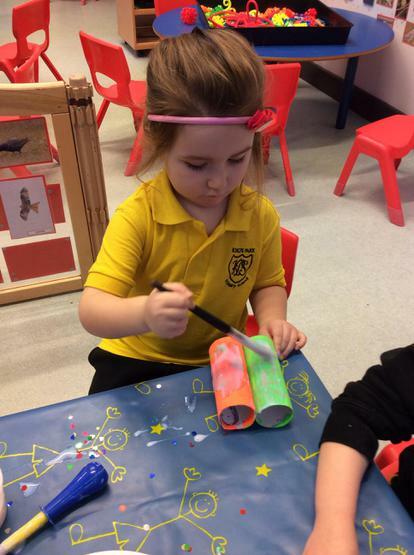 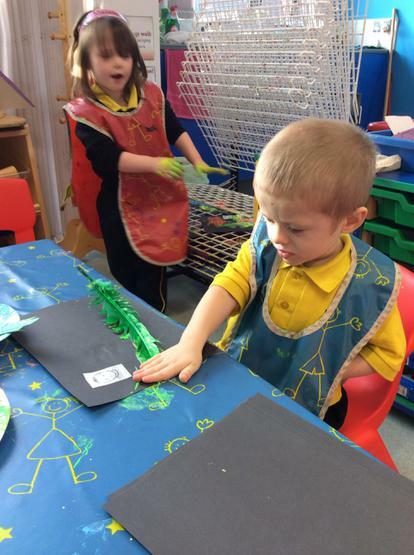 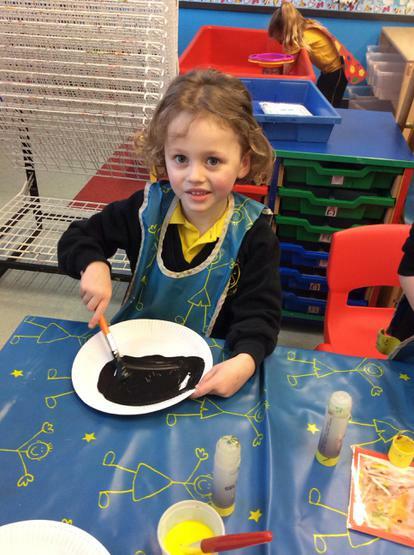 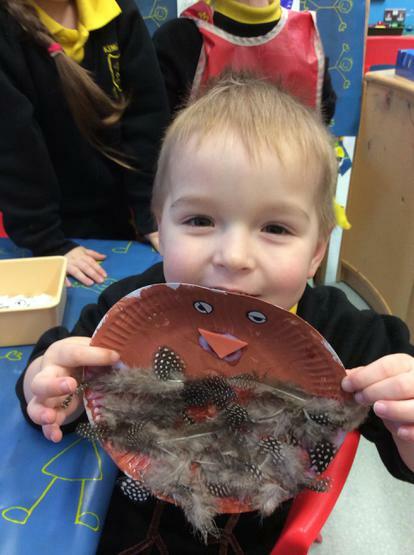 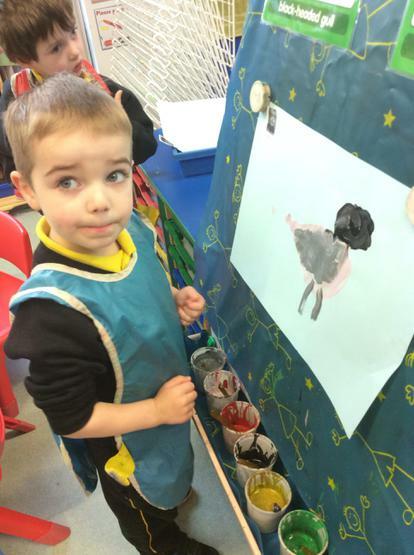 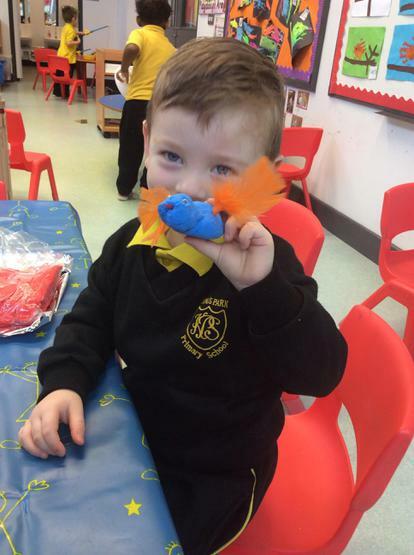 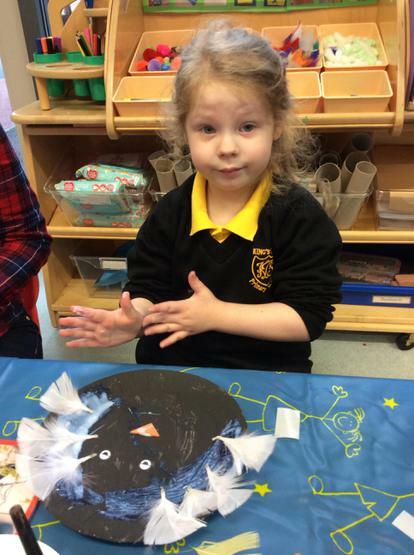 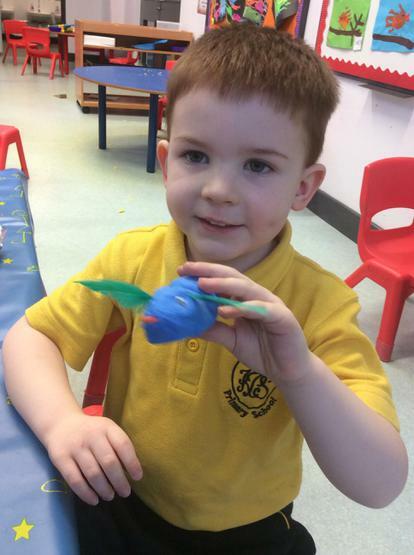 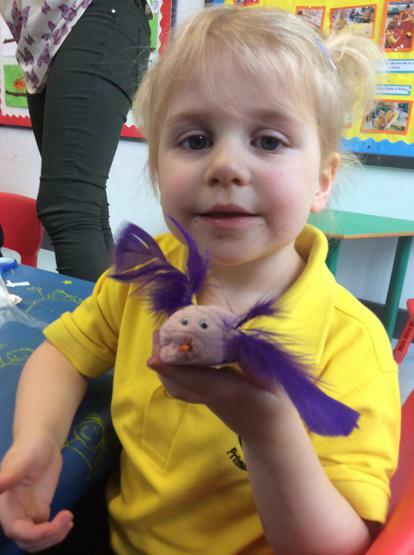 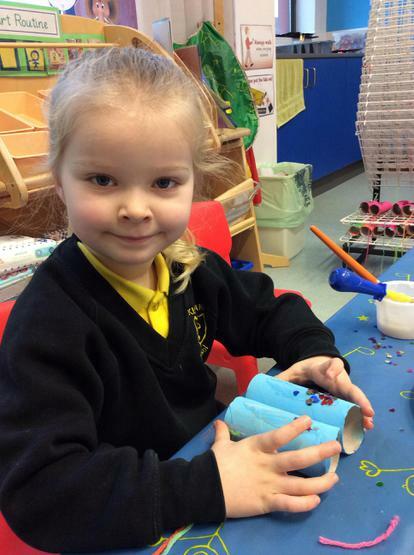 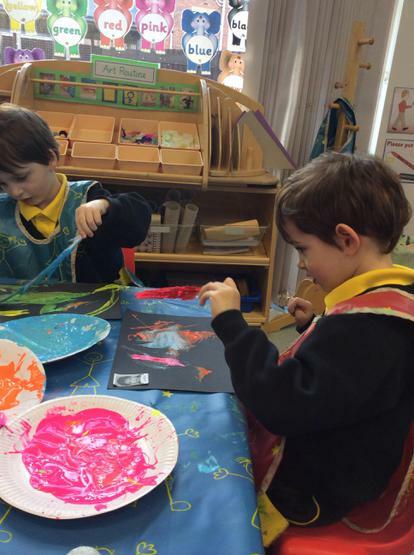 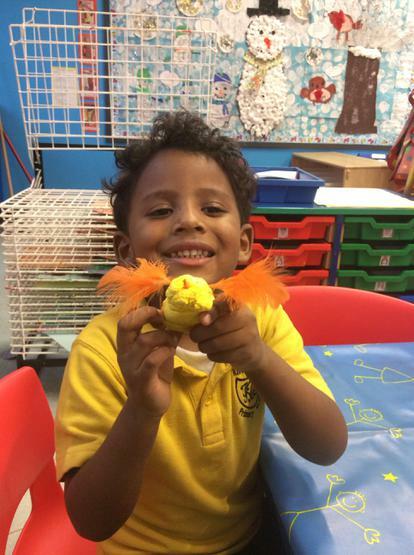 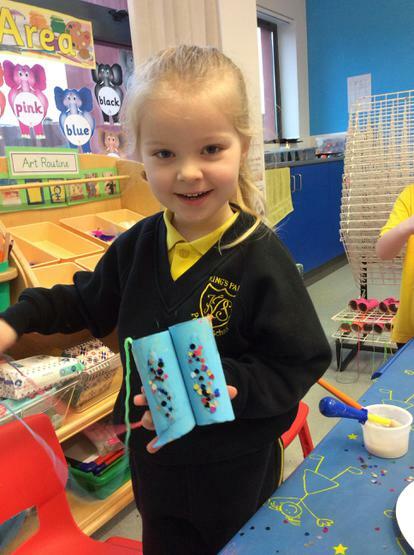 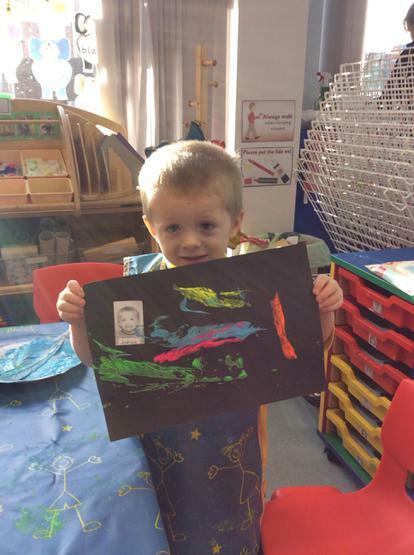 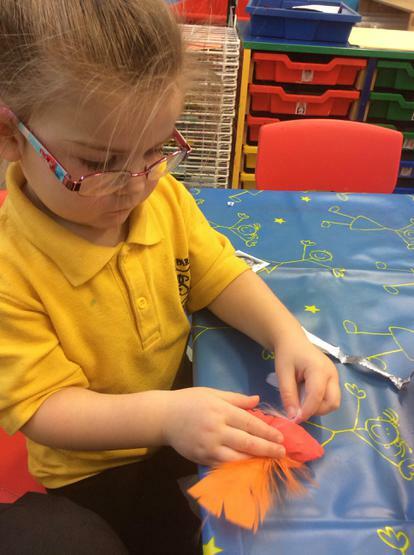 We have had lots of fun being creative and learning more about birds through art activities! 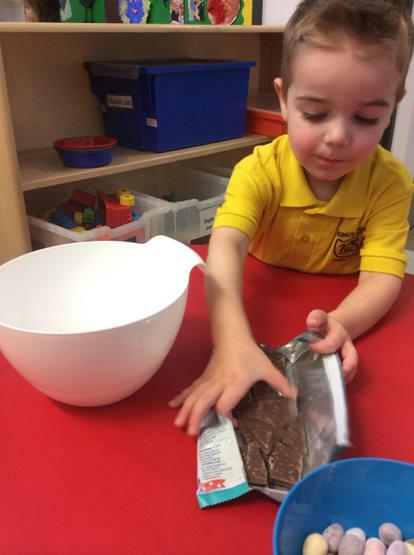 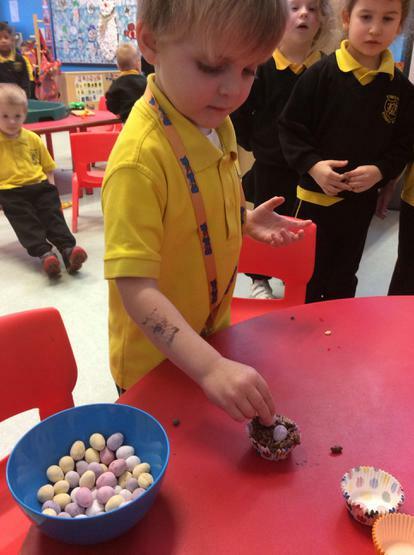 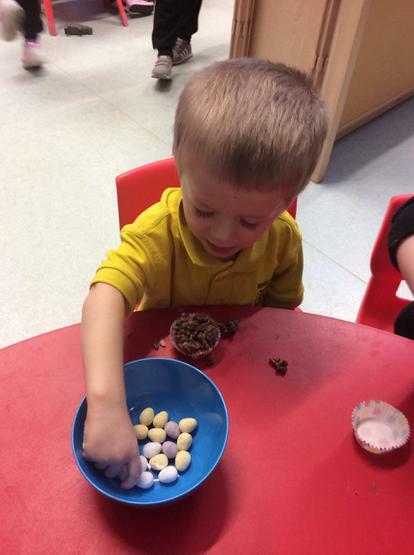 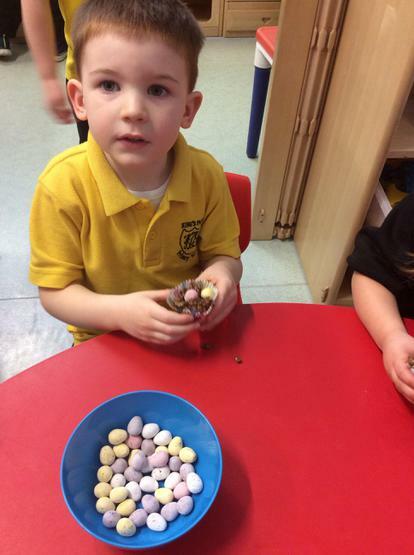 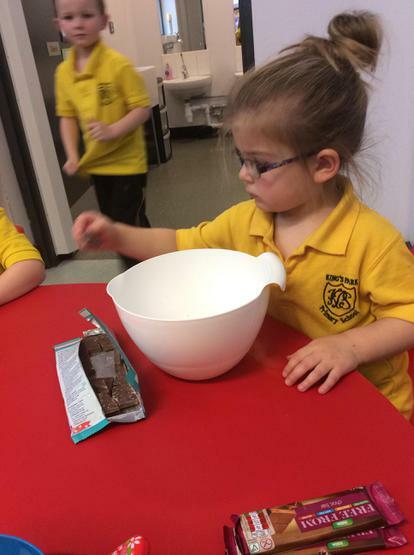 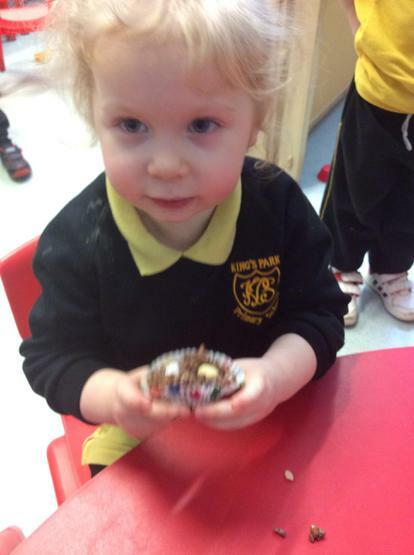 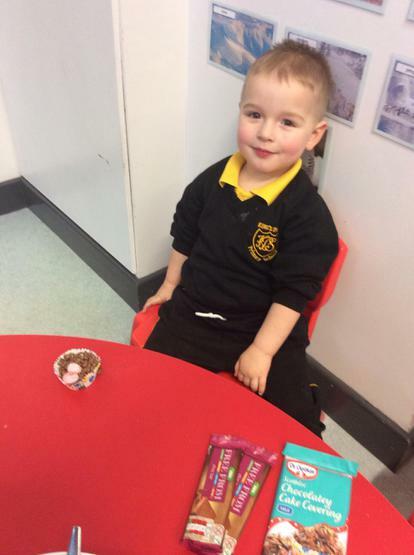 As a very special treat, we made delicious chocolate nests!